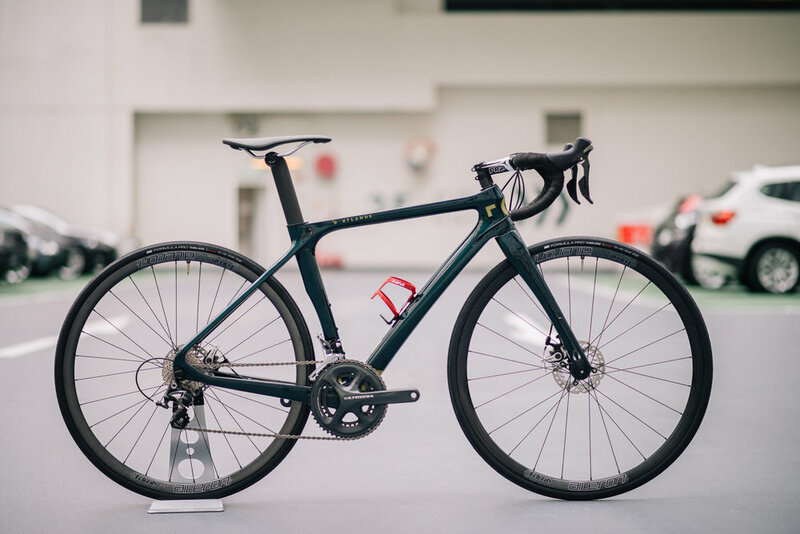 Our friends at Velo6 are bringing in _Outland CC Adventure Bike to Hong Kong, and we are excited to partner with them on a rental program that allow riders to rent these excellent disc brake equipped carbon fiber bikes by the hour, day or week. The Outland bikes are recommended for riders at intermediate level and up; suitable for curious local riders and ideal for oversea traveling riders who plan to visit HK but do not want to bring their own bikes. Ultegra Group / Velocity Rim X DT Swiss Hub, pretty good spec for a rental bike! PRO handle bar and stem! looking handsome at our workshop!